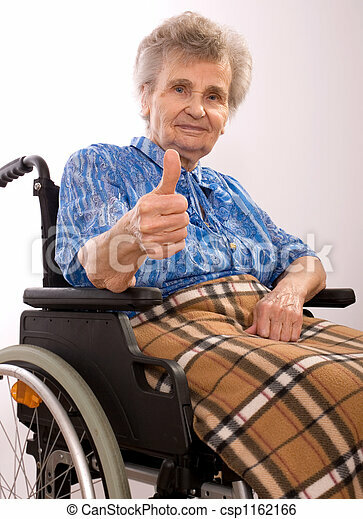 Portrait of an elderly woman in wheelchair giving the thumbs-up sign. 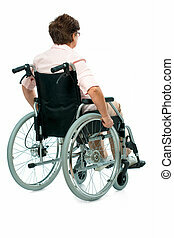 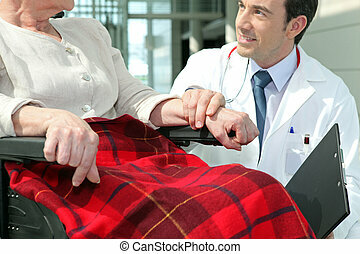 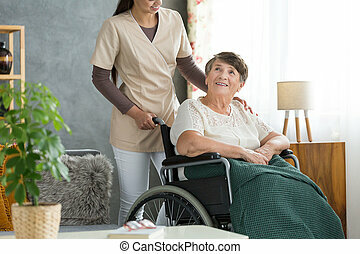 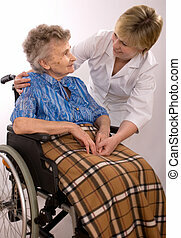 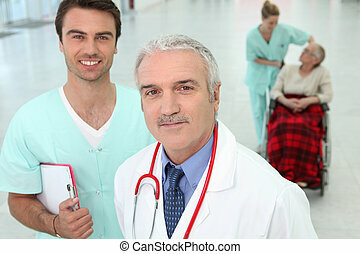 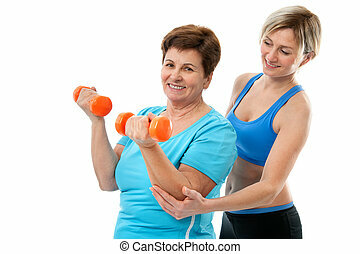 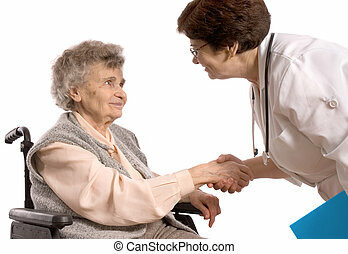 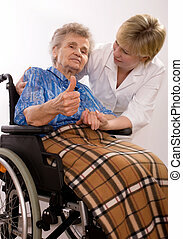 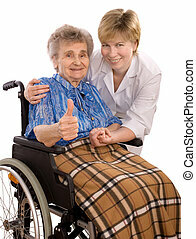 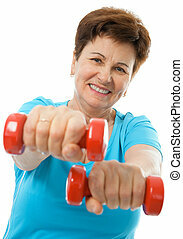 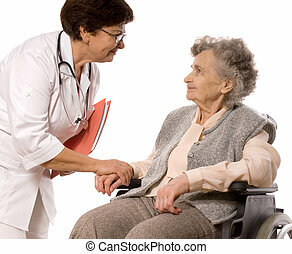 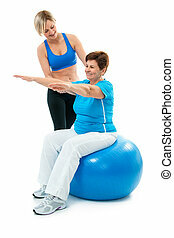 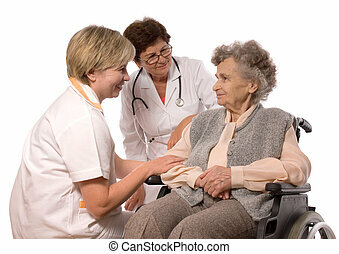 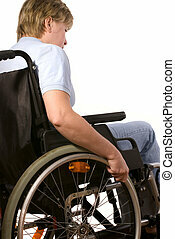 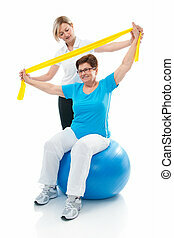 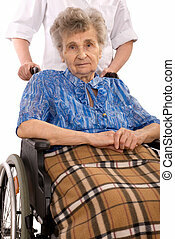 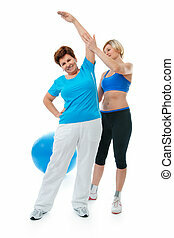 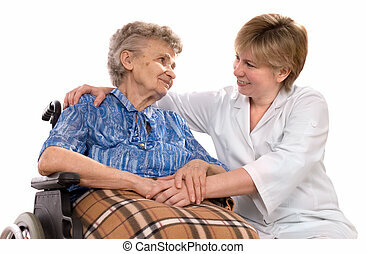 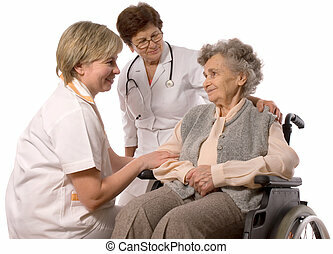 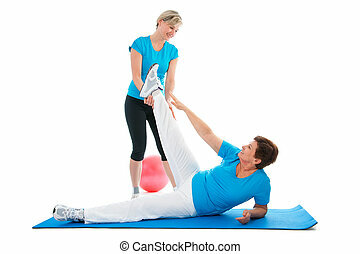 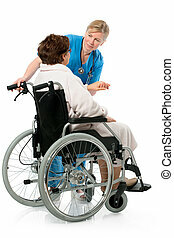 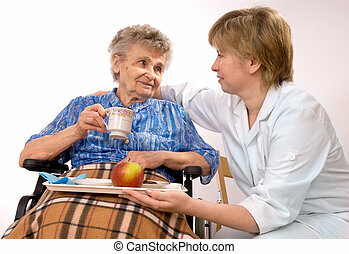 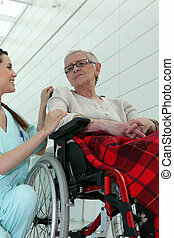 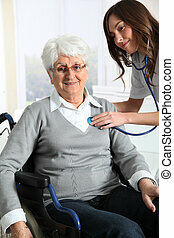 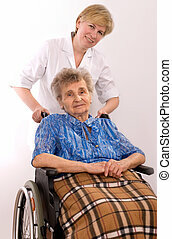 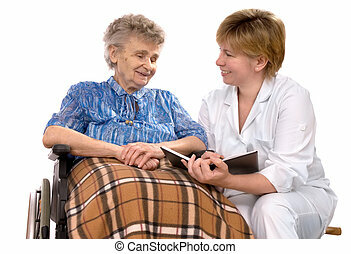 Elderly woman in wheelchair pushed by nurse's hands. 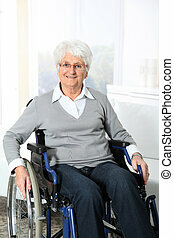 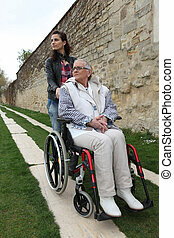 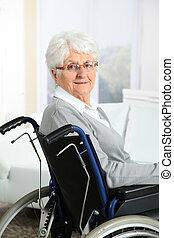 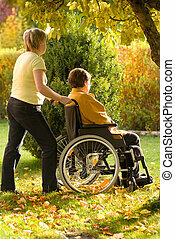 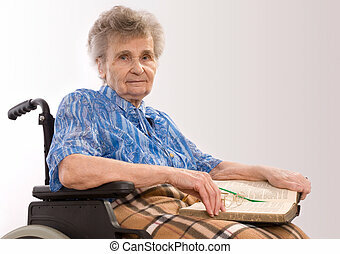 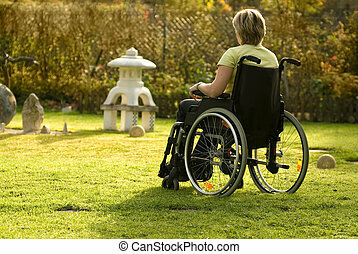 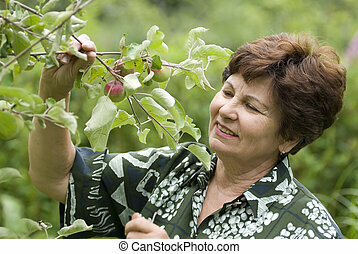 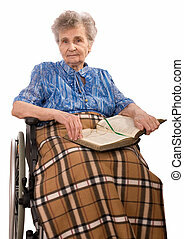 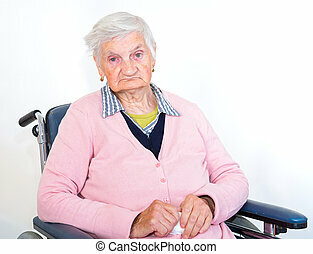 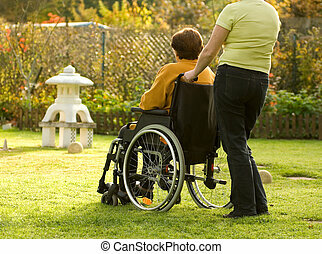 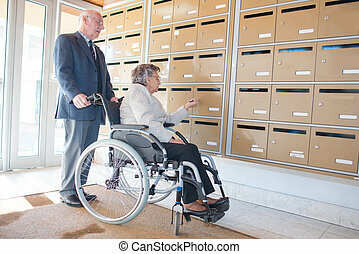 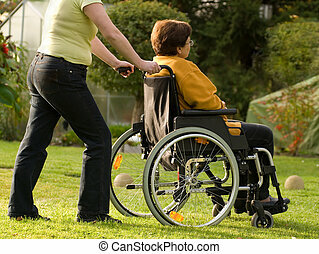 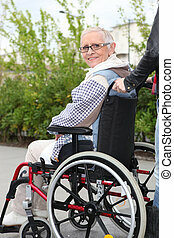 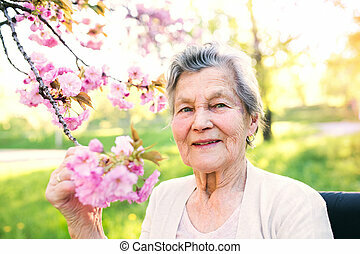 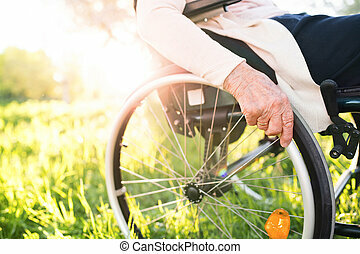 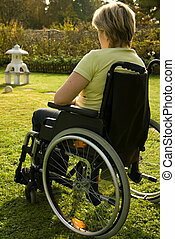 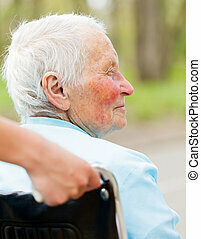 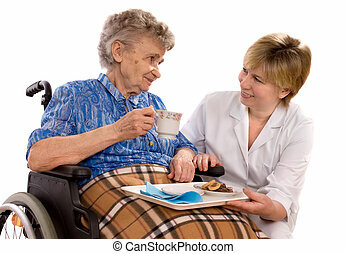 Unrecognizable elderly woman in wheelchair outside in spring nature. 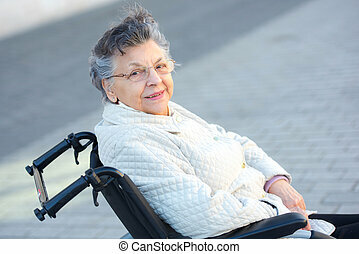 A happy elderly woman in wheelchair outside in spring nature.